We create laser-cut, eco-friendly jewellery here in San Diego, CA from sustainably sourced material. We enjoy bringing an eco-minded alternative to many jewelry brands out there. Bamboo is a highly respected eco material, and considered one of the most sustainable resources on Earth! 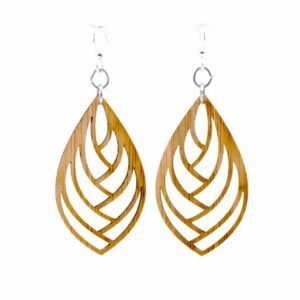 We have curated a unique and elegant line of Bamboo Earrings, and would like to bring exposure to this wonderful product. 1. Choose 2 pairs of Bamboo Earrings from our line (1 large, 1 small). Notes: Images must be posted within 1 week of receiving the earrings, with the latest date being December 5th. Must post at least one image across all social media platforms by that deadline. We will also provide you with a promo code for followers offering 20% off their purchase with us. These earrings retail at $17.95 each, and you will be keeping them as compensation for this assignment. Blogs that cater to eco-friendly audiences. Blogs that cater to fashion. Blogs that cater to Made in USA items.